Cheshire are upgrading their traffic light cameras - they can now also be used as speed cameras. Red-light cameras catch those who jump the stop lights, but now they can catch those who speed through on green. Five new sets have already been installed in Cheshire West and Chester - three at the junctions of Dalefords Lane and Chester Road in Sandiway, Parkgate Road and Cheyney Road in Chester and the A5117 and Pool Lane in Elton Green respectively. The other two on the A41 at Heath Road in Chester and the A54 at Kelsall Hill. Others will be installed over the coming months. The amount of people that died on the county's roads more than doubled to 41 in 2018 from the previous year. A spokesman for Cheshire Road Safety Group commented: "We hope that the new generation cameras will deter motorists from speeding and going through red lights at junctions and therefore reduce the number and severity of collisions." The Cheshire police and crime commissioner said: "With an increased number of serious incidents and fatalities on our roads in recent times, these cameras are needed more than ever." 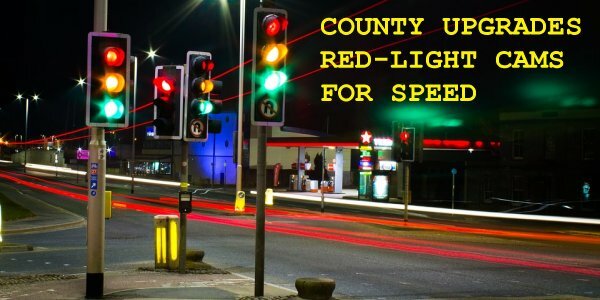 He added: "Law abiding drivers often report to me their shock and frustration at the number of drivers who jump red lights and break the speed limit, selfishly gambling with other people's lives as well as their own."